Since the publication of this article, ShareGate Desktop has updated and unified the migration interface. The following screenshots may no longer be accurate, we are working on updating them. The setting of SharePoint metadata is unfortunately something that users tend to skip oh to often... Properly set metadata will give you great search abilities in your SharePoint environment, thus making much easier to find what you're looking for. You can actually also boost the users' adoption of SharePoint with Metadata! But for a long long time, metadata wasn't the norm, which had users resort to other stratagems to identify their files. Without metadata, folders were, and still are, a great way to describe what the files are and what they contain, but this method is overkill once you switch to SharePoint, because there’s a basic feature called “Metadata”. Folders are no longer needed! Yeah! Now the question everyone asks: How can I assign my folder names to my SharePoint columns? And it's a fair point. 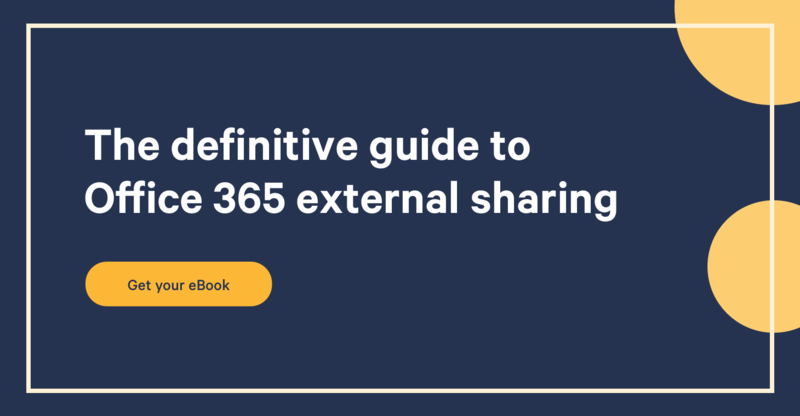 You've got all those files neatly sorted in folders you could import as is SharePoint, and giving them SharePoint metadata one by one is out of question. Well, the answer is simple, just use Sharegate! I’ll show you a basic use case. 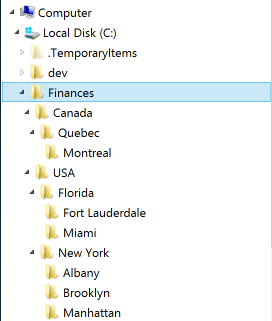 I have a folder hierarchy that represents the country, the state and the city, in which I have documents for each city. In SharePoint, I’ve created a document library with 3 columns for the country, the state and the city. If you download Sharegate and use the “Copy SharePoint Content” feature in the Migration tab, you’ll be able to select your folder hierarchy and press on the Excel export functionality. The exported file will let you fill-in the SharePoint metadata manually for all your documents. 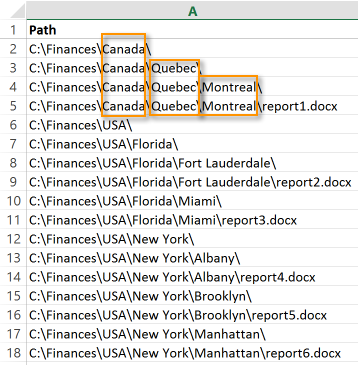 Sharegate suggests potential metadata at the end of each row that can be massively applied as metadata with basic Excel formulas. You get the 1) file name or folder name, 2) the parent folder name and then 3) every parts of the file full path. You want to fill-in the country values. 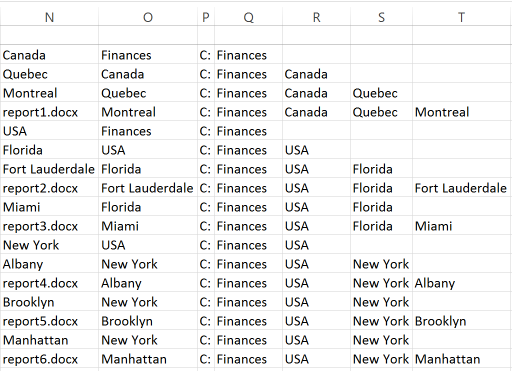 To do so, just put the formula “=IF(R3>0,R3,””)” and apply it to all rows. 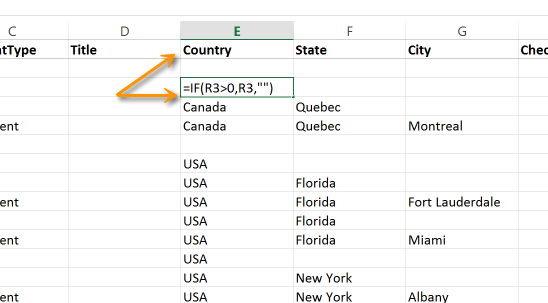 Don’t forget the IF condition when referring another cell if you don’t want to get a zero instead of a blank cell. You then re-apply the same process to the State and City columns. Once you're done, just re-import the Excel using Sharegate and that’s it. You've got all the subcategories you had with your folders and allows you to assign as many more SharePoint metadata you could find use to. Sharegate also allows you to bulk edit SharePoint Metadata, once your files are in SharePoint or Office 365. Now tell me, what use do you make of those SharePoint metadata?